Federal prosecutors will not seek the death penalty for five reputed members of the Lucchese crime family who were charged in a law enforcement sweep last year, according to court papers filed this week. The alleged mobsters, including Tuckahoe resident Steven "Wonder Boy" Crea and his son, Steven Crea Jr. of New Rochelle, were among 19 reputed Lucchese members and associates charged in a racketeering indictment unsealed May 31, 2017. In papers filed in U.S. District Court in Manhattan on Monday, the U.S. Attorney's Office said they would not seek death against the Creas and three other men — Matthew Madonna, Christopher Londonio and Terrence Caldwell. 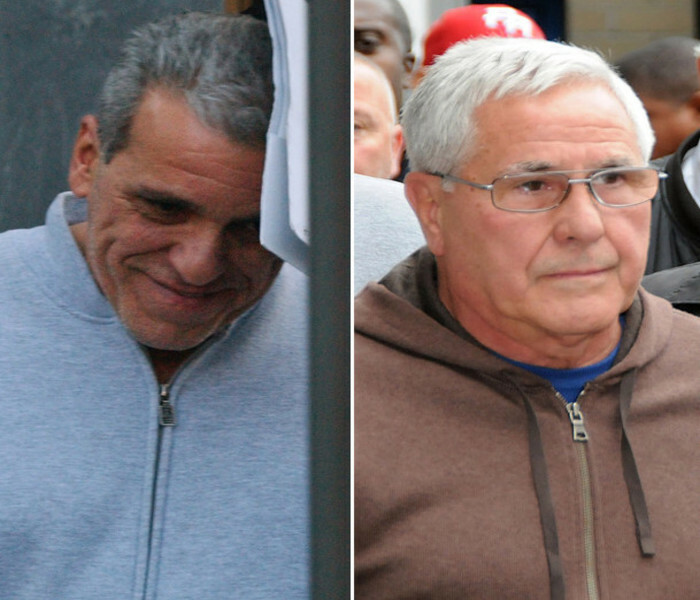 Madonna was identified as the alleged "street boss" of the Lucchese family, while Londonio was identified as a reputed soldier and Caldwell as an associate. All three were already in prison when they were charged in the sweep last year. The Glass Room, a smoke shop on Church Street in New Rochelle, was one of two locations where victims of an alleged Lucchese crime family loansharking operation dropped off their weekly cash payments, according to the state Attorney General’s Office. The sweep was one of the largest roundups of reputed mobsters by the FBI and the U.S. Attorney's Office in recent years. The suspects had colorful street names like "Paulie Roast Beef," "Joey Glasses" and "Spanish Carmine," prosecutors said. Earlier this year, the New York State Attorney General's Office carried out a separate sweep of reputed Lucchese family members who were allegedly running an illegal gambling operation out of two New Rochelle storefronts. Christopher Londonio / Lucchese Crime Family / Matthew Madonna / Steven Crea / Steven Crea Jr.